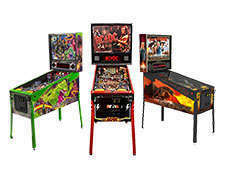 We are one of the largest retailers in the country of new and refurbished pinball machines. 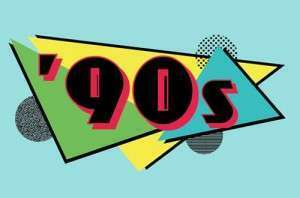 From Movies, TV Shows, Music themes and more we have them all! 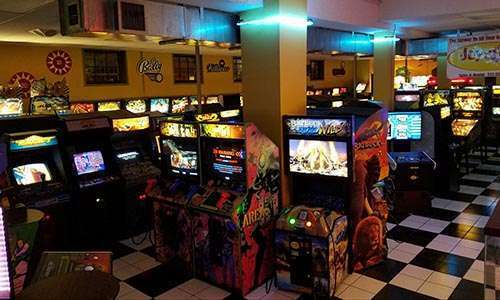 Choose from stunning new games like the World’s Largest Pac Man, Galaga Assault, Teenage Mutant Ninja Turtles, Killer Instinct and more. 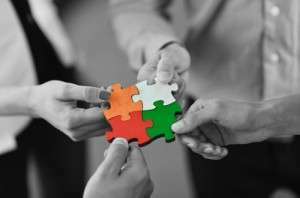 Our selection and quality is amazing. 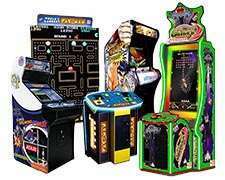 We have a massive inventory of refurbished classics including Pac Man, Ms. Pac Man, Donkey Kong, Centipede, Galaga, Frogger or hard to find titles like Budweiser Tapper and Dragon’s Lair. 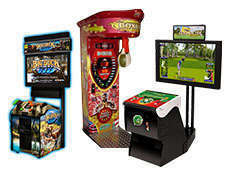 Choose from all your favorites like basketball, football, boxing machines, golf putting machines, and even sports related video games like NBA Jam, NFL Blitz, and Golden Tee Golf. 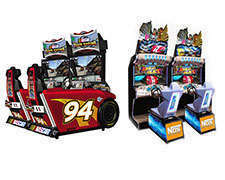 Racing games are some of the most popular games available and can be linked together for competitive head to head action. We have a great selection of action-packed racing games that are sure to please. Table games are great to bring a party together. 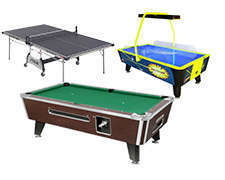 We have new pool tables and foosball tables in stock and also have a full line of air hockey, ping pong, Chexx Bubble Hockey, and shuffleboard. We can bring our carnival to you! 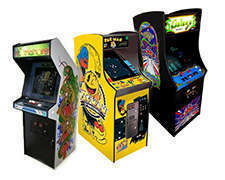 All your childhood games are available for your party or to purchase. 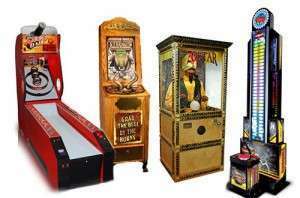 Giant Plinko, Zoltar Fortune Teller, Whac-A-Mole, Toy Cranes, King of the Hammer, Strength Testers and more. 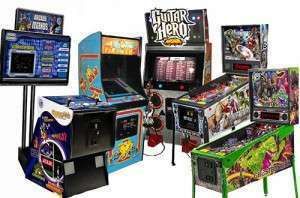 Who needs a DJ when you can rent a jukebox, Pump it Up Dancing Games, or new Rock and Roll music themed pinball like AC/DC, Aerosmith, or Metallica. And don’t forget the fun of guitar hero! Looking for something unique and memorable for your next event? Look no further than Joystix! 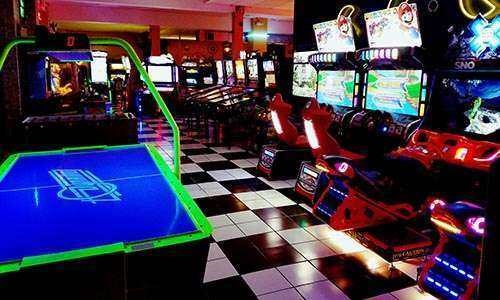 Our showroom is ready to host your next event with a multitude of games, professional staff and a fun atmosphere. Working up a thirst from playing all our games? Then look no further than our adjoining lounge, Eighteen Twenty, that has an endless selection of craft beers, wine, your favorite bourbon or a frozen Jack and Coke on a summer day! Below are some ideas for parties made better at Joystix or just call Charles to discuss a personalized party, tailored just for you! Party Planners call today and find out how we can help you shine with your clients! 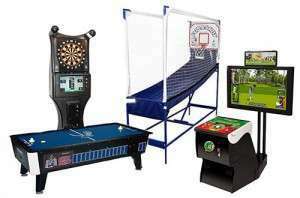 charles@joystixgames.com for pricing and availability for your event. Want to kick it up a notch at your next corporate or private event? At Joystix, we’ve got you covered! 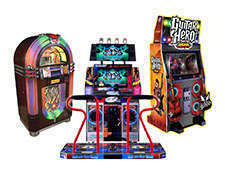 Game rentals from Joystix is the easy way to increase the fun factor at your next party. 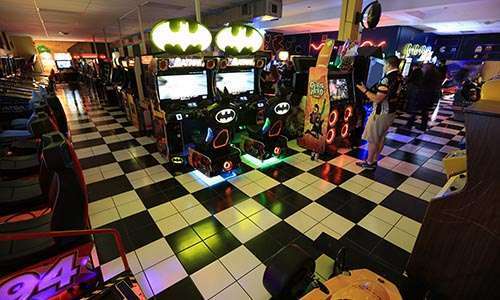 Browse through some of our pre-selected packages below for groupings of our most popular games or call Charles to discuss a custom package that works for your unique party theme. 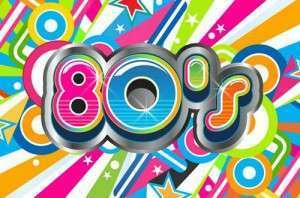 Click Below to View Themed Rental Packages or Call Today to Customize Your Own! 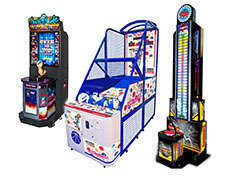 © Joystix Games and Pinballs | All rights reserved. Keep up with all the latest at Joystix!